Many of us sit at a computer for hours at a time, maybe even whole days, typing. Which means our wrists are bent and flexed in an unnatural position for HOURS. And then when we are done typing, we go and “grip” things. We carry grocery bags or go to the gym and lift weights or hold pencils and pens. We hold spoons to stir the dinner in the pan that we are also holding. (And it’s funny because most of us need to work on grip strength, which while important to improve, can also add to our pain). Our hands and wrists are constantly in flexion (even our elbows are flexed a lot). So what are some tips to help you alleviate the pain? 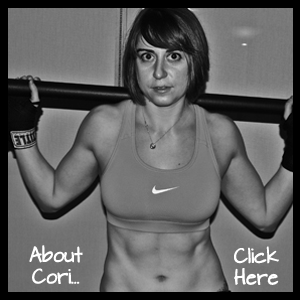 Where ever there are muscles, you can foam roll and probably should be foam rolling. Take a golf ball and place it under your hand on a table or flat surface. Roll the golf ball around the palm of your hand. You can add a little bit of extra pressure by pressing down with your other hand. You can then take the golf ball or a tennis ball (or small trigger point roller or foam roller) and roll out all of the muscles from your wrists to your elbow. Make sure to get the top and bottom of your forearm. To dig in deeper as you roll out, you can tense and relax your forearm on the ball or roller. To tense, make a fist and then relax over the roller. You can also dig in deeper by applying pressure with your other hand. If you are suffering from elbow pain, you may also want to roll out your tricep and bicep right above your elbow. You can take a roller or ball and place it on a low table and roll your arm out on it. You can also place the roller or ball against a wall and press your arm into it (this works well for the tricep but not as well for the bicep unless you are in an opening or doorway). Again, you can apply more pressure and dig in deeper, by pressing down with your other hand. Make sure to rock back and forth and not only move the roller up and down. Hand Circles – Clasp your hands together and draw circles and figure eights both ways with the hands together. 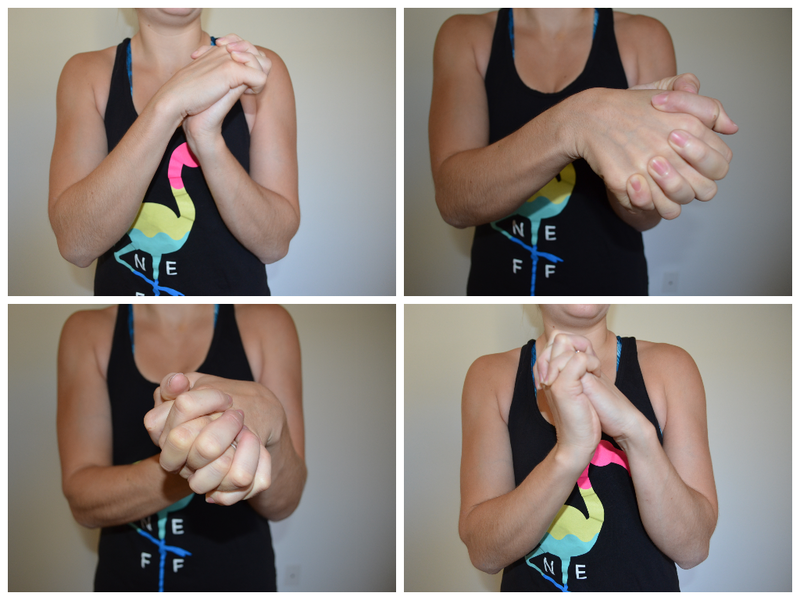 Try not to tense your hands, but relax them through the range of motion. Under Forearm stretch – Kneel on the ground and place your palms down on the ground. Turn your fingertips back toward your knees. Then sit back on your heels and feel a stretch down the inside of your forearm. Sit back as far as you can without letting the heel of your palms come up. Rock back and forth. Do not hold the stretch but move slowly. Inside/Outside Stretch – Kneel on the ground with your palms on the ground and your fingertips pointing out away from each other. Lean forward a bit into your hands so that there is some pressure on your palms and wrists. Keeping the pressure on the hands, flip one hand and then the other so that the finger tips are pointing in and the back of your hands are down. Then, one at a time, flip the hands back out. Side to Side Extension – Kneel on the ground with your palms down and hands about shoulder-width apart. Fingers should be pointing outward away from each other. Then rock side to side slowly and smoothly. Prayer Stretch – Place your hands together. You can do this with the fingertips pointing up or down (do both if you have time). Press the fingertips together. If your fingers are pointing up, you are going to try to press the hands down as low as possible without the heels of the palms coming apart. If your fingertips are pointing down, you will try to raise your hands up as high as possible without your hands coming apart. 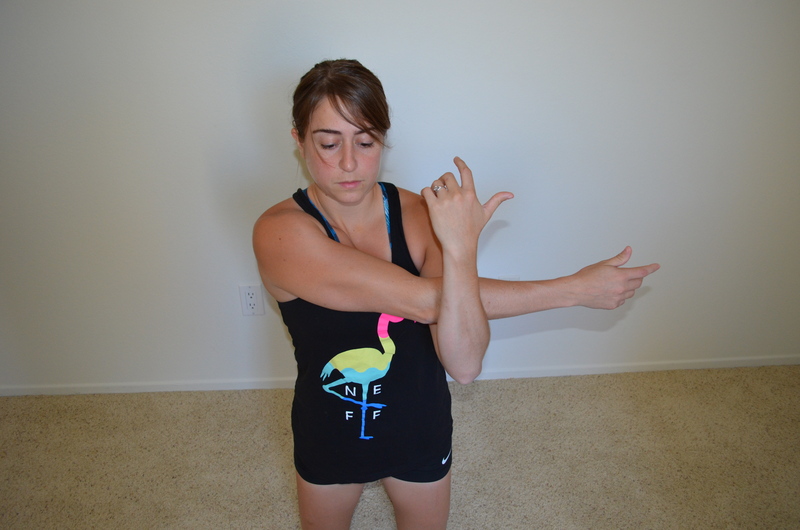 Wrist and Bicep Stretch – Stretch one arm straight out in front of you. Take the other hand and press down on the fingertips, pointing them down toward the ground. As you press down, you should straighten your arm more so you feel a stretch down your forearm and up into your bicep. Hugs – Swing your arms open as wide as you can to feel a stretch through your chest and biceps. Then swing your arms across your body as if you are hugging yourself. 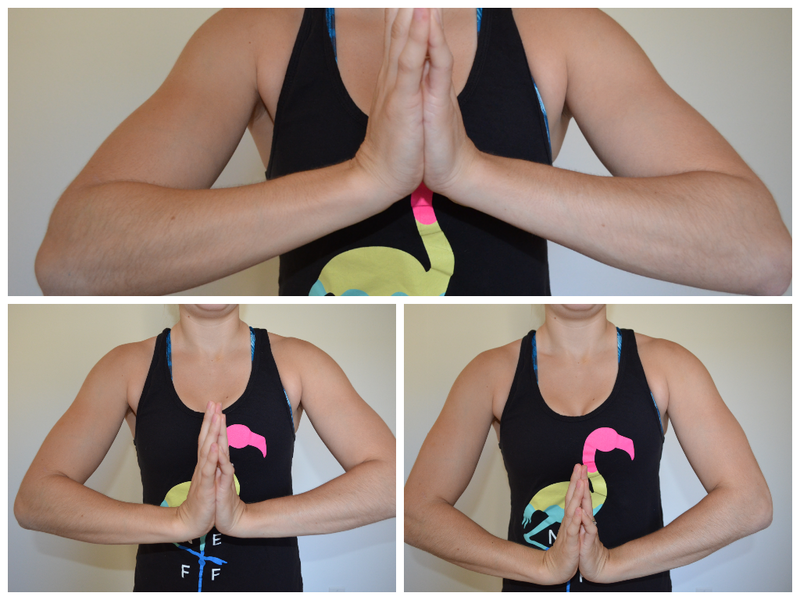 Reach your hands around back as far as possible and then open up again as wide as possible. Repeat never really holding in one position. Overhead Tricep Stretch – Reach one hand up overhead and then down your back. Reach as far down your back as possible and then take the other hand and press down on the elbow to increase the stretch. Try not to arch your back as you do this stretch. You can also do this with a towel. Reach one hand over and down the back from the top. Hold a towel in that hand and then reach up the back to grab the other end of the towel. Pull down on the towel to increase the stretch. Across the Chest Tricep Stretch – Reach one arm across your chest and take the other arm and pull it tighter to your chest. You can relax the arm across your chest down into the bent elbow of the other arm. Make sure to keep the shoulder of the arm across the chest relaxed down and back. Probably one of the best simple cure-alls for the lower arm is the rubber band finger extensions. It works all the way up your forearm to loosen everything that is constantly flexed. To do it, get a rubber band (you can use a basic rubber band or get one of the thicker ones designed for this) and place it around the outside of your fingers. Place it around that middle knuckle. Then extend your fingers open as far as possible before bringing them back together. Do a number of reps (I recommend starting with like 30-50 depending on the tension of the band). These are all quick fixes you can do to alleviate hand, wrist, forearm and elbow pain. None of them take a lot of time and can even be added to your workout warm ups. NOTE: If you have sever pain please see a Physical Therapist. These are meant to alleviate minor aches and pains. Ice can also be a great tool if an area is super inflamed. Posted on August 7, 2013, in Injury, Man Biceps, Recovery and tagged desk stretches, forearm stretches, grip work, wrist and elbow pain, wrist stretches. Bookmark the permalink. 1 Comment. Great stretches. I really need to try this. My wrists are tiny and weight training does put a strain on them.